Chemical contamination from the North Bay Fires could now force Santa Rosa to replace the water delivery system for the severely burned Fountaingrove neighborhood, at an unbudgeted cost of $43 million. Santa Rosa water officials will present an update on the problem and a recommendation about how to address it at a meeting Tuesday at 2 p.m. The fire was merciless on Fountaingrove’s hillsides, leaving just 13 homes standing out of hundreds in a nearly 200-square-mile area. Connecting those homes to the water system were pipes made of high-density polyethylene or HDPE -- a kind of plastic preferred for its cost, and for its flexibility in terrain that can be shaken by earthquakes. But plastic has a downside. That happened last October, says Horenstein. After an investigation, he says his department believes melted components released cancer-causing benzene, along with other hydrocarbons and contaminants that were then sucked further into the city’s depressurized water system. Sitting in the water mains, the contaminants migrated into the plastic mains. The water department learned of the problem only when returning residents reported bad odors and tastes. Hundreds of subsequent water samples found benzene in all of the mains and lines within an advisory area, where residents were warned not to boil or drink tap water. Testing beyond the advisory area in greater Santa Rosa found benzene in some smaller lines, but no water mains. The state’s Division of Drinking Water has said that Santa Rosa’s problem is the first of its kind reported in California. But Horenstein suspects this could have happened in other communities, where smell and odor telltales weren’t as apparent. Horenstein believes Santa Rosa’s response could have implications for other communities at risk of a similar incident, even nationally. Even if Santa Rosa’s problem is unusual, other California cities have suffered damages to water systems after significant fire events and related natural disasters. In Santa Barbara County, heavy rains drove a debris flow into the highline distribution water main for the Montecito Water District. Montecito, which is also recovering from major fires, ordered residents to boil water before drinking for about a month in January. Other communities in that area have suffered rock falls and mudslides. Diffenbaugh is a member of the Climate-Safe Infrastructure Working Group convened by California Natural Resources Secretary John Laird, which is considering how to better integrate climate considerations into infrastructure design and maintenance. The group will produce a report later this year. 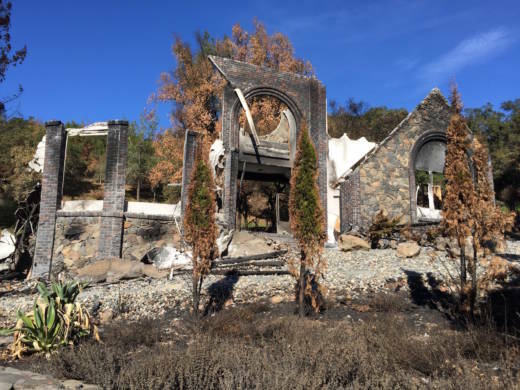 In Santa Rosa, Horenstein says the city’s goal is to return people to their homes, and return the area to a pre-fire condition. According to a city presentation, the best-case scenario for full replacement in the advisory area would replace the drinking water system over two years. “It does feel very important for me to assure people, we are going to solve this thing,” Horenstein says. 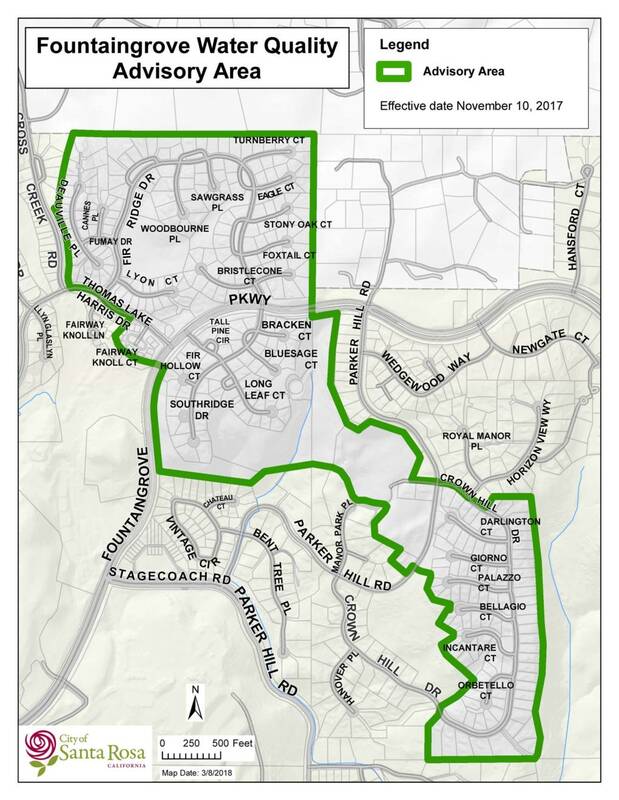 Santa Rosa could dip into reserves, seek federal aid, or even raise water rates to pay for the full replacement of Fountaingrove’s water delivery system. And the city may have to weigh that investment against future fire risk: Fountaingrove has now burned twice in the last 54 years.